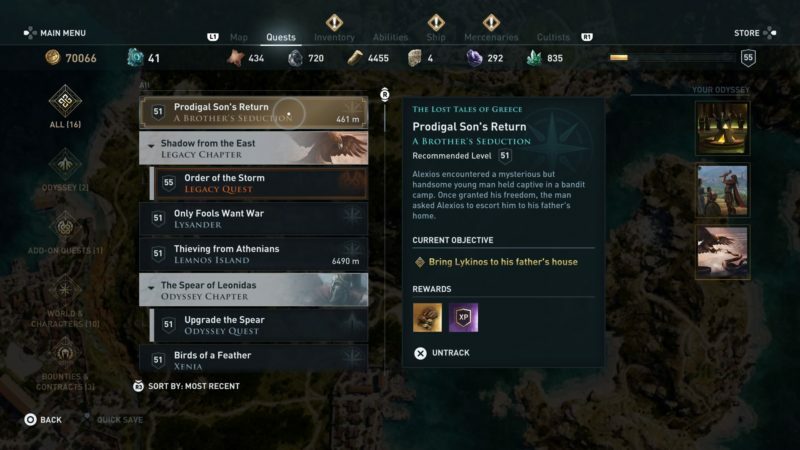 Prodigal Son’s Return is a new quest in Assassin’s Creed Odyssey introduced just a day ago. 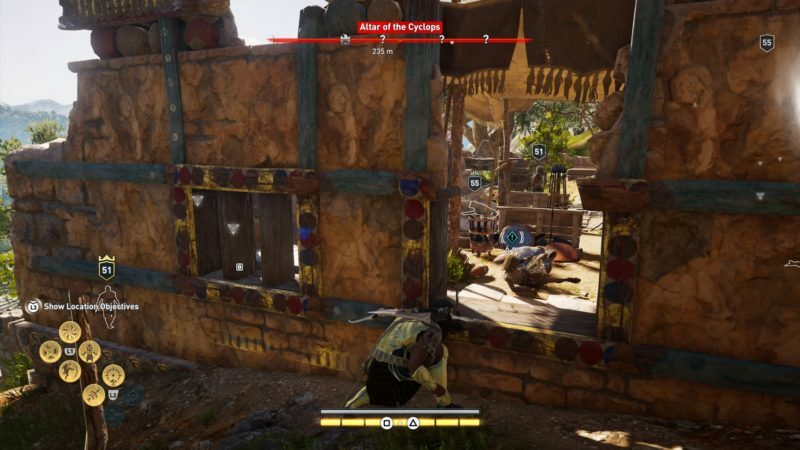 Your task is to help rescue a man who is held captive by some bandits. 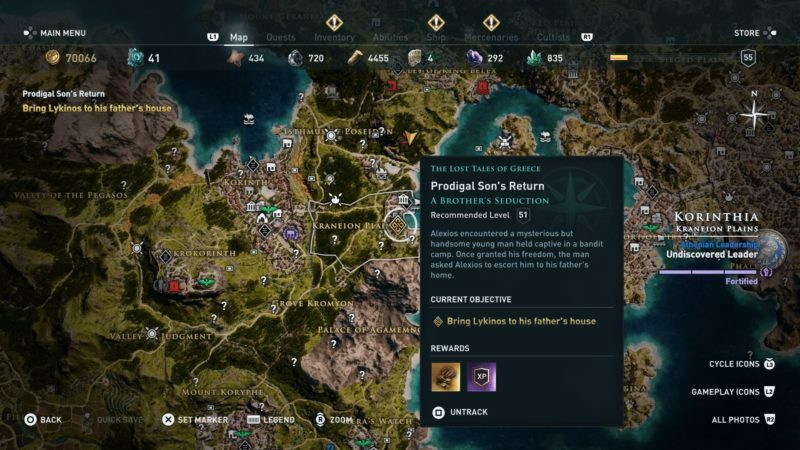 Here’s a walkthrough of Prodigal Son’s Return in AC Odyssey. This quest is recommended for those level 51 and above, but it differs according to your own level. 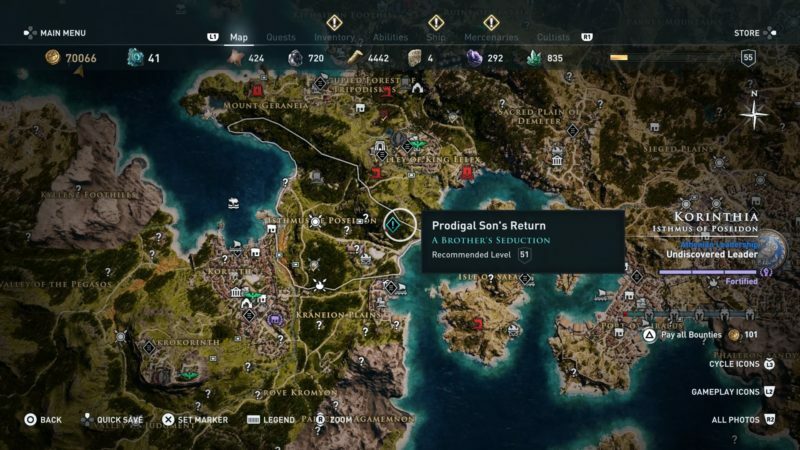 To begin this quest, get to the land of Korinthia at the exact location shown in the map below. It’s marked as the blue exclamation symbol. You will find yourself at the Altar of the Cyclops. It is surrounded by a couple of bandits and a bandit leader. You can kill all of them first. Once you’re done, get to the man. He will be unable to walk, so you need to carry him. The man’s name is Lykinos and you need to transport him to his dad’s house. The exact location of the house is shown in the map below, marked as the quest symbol. 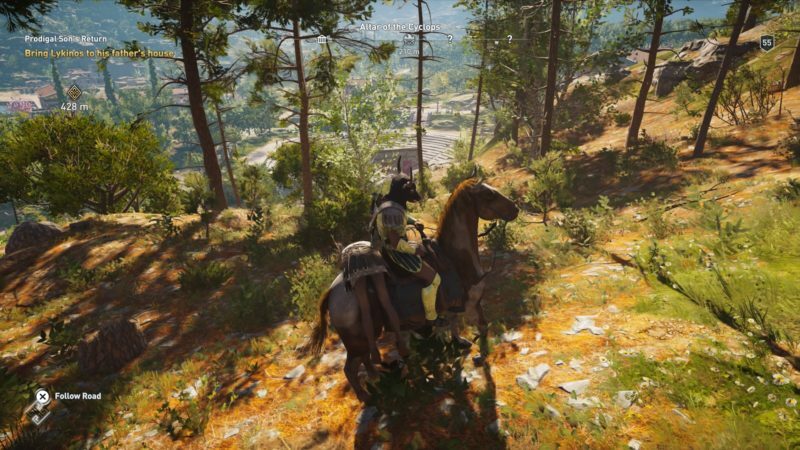 As it’s quite a distance away, it’s better to stow him on your horse. Bring him back to the Port of Kechries. 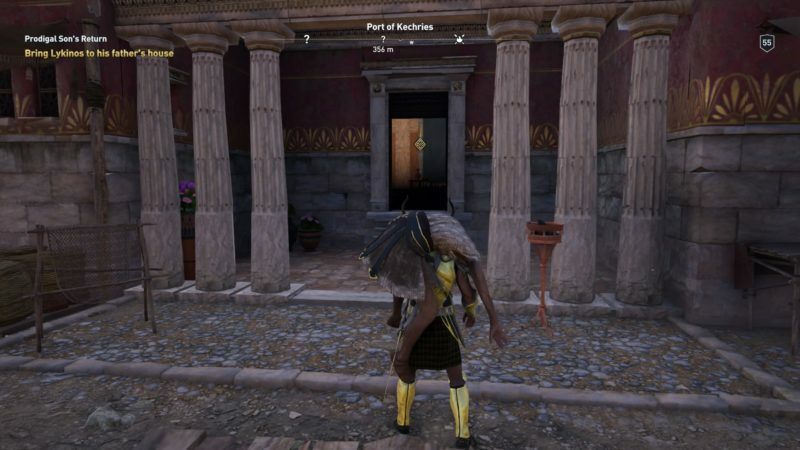 Carry him and place him on the doorstep as shown in the image below. A cutscene will then load. 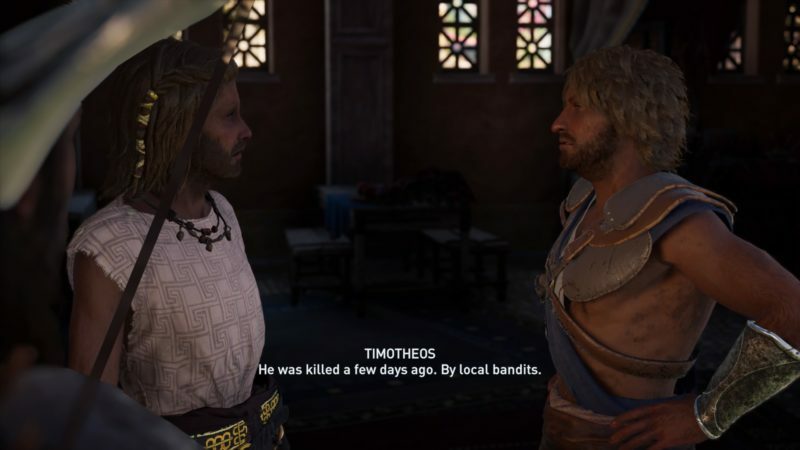 Apparently Lykinos’ father has been killed. Timotheos is his brother and he’s preparing for the funeral. 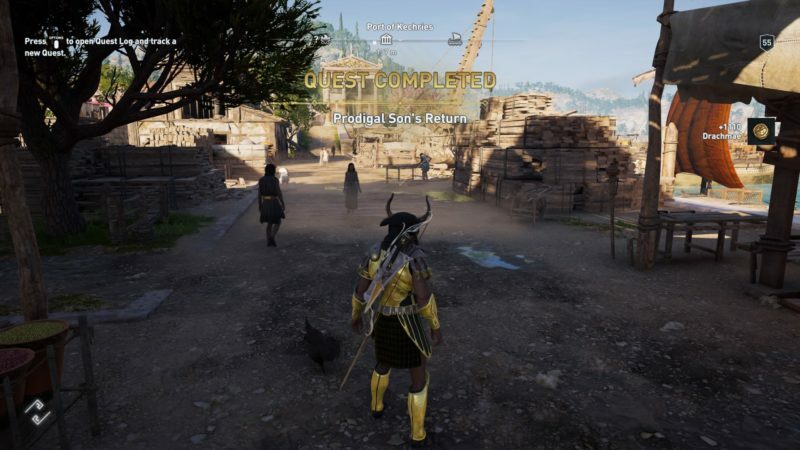 The quest completes here and you will earn some drachmae as quest rewards. I'm either the writer for this article, or I'm just publishing on behalf of someone else. Ordinary Reviews is a participant in the Amazon Services LLC Associates Program, an affiliate advertising program designed to provide a means for sites to earn advertising fees by advertising and linking to amazon.com.